Fans of fusion music are in for a rare treat, as the band AnTara (literally ‘the space between’ in Sanskrit), of Irish musicians Tommy Hayes and Matthew Noone, are set to perform at the Thiru Gokarnam temple, in Pudhukottai district, as a part of a Music Heritage Revival Concert Series, and also at the annual Thyagaraja Aradhana festival in Thiruvaiyaru, the birthplace of the Carnatic composer, Sri Thyagaraja. The duo were invited to play at the prestigious ‘aradhana’ (musical homage) by the esteemed veena player Karaikudi S Subramanian from the Brhaddhvani institute, Chennai (and supported by Culture Ireland). Tommy and Matthew realise how much of a big deal the festival is. They’re particularly excited about the fact that they will be the only Western musicians performing at the event. “We really appreciate the significance of the aradhana,” says Matthew, in an email interview. 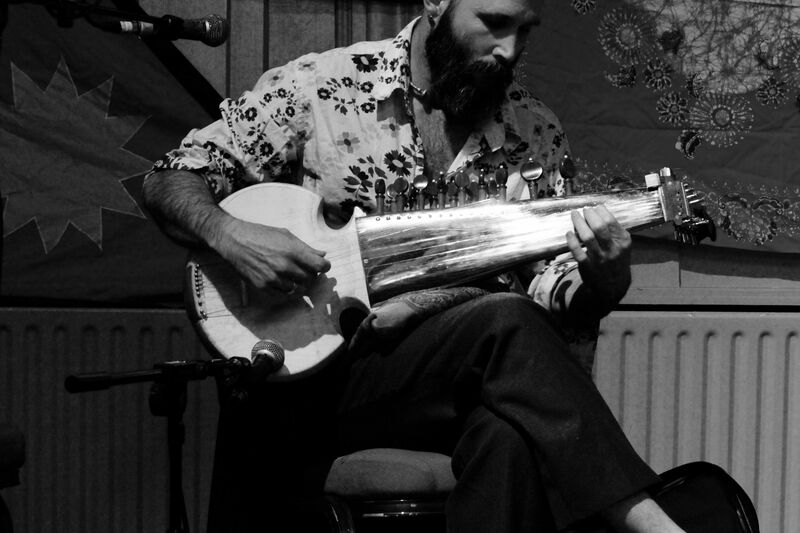 Matthew (‘Mattu’ for short), an ex-indie rocker and performer of the 25-string lute called sarode, studied Hindustani music in Kolkata under Sougata Roy Chowdhury, and from the UK-based sarodiya K Sridhar. Tommy, on the other hand, plays the bodhrán, an Irish frame drum, and has been at the forefront of Irish music for over 30 years. The annual Thyagaraja Aradhana festival in Thiruvaiyaru really is a big deal in South India. How did you get involved with the festival? How does it feel to know that you will be the only western musicians performing at the occasion? We are honoured and delighted to be part of this auspicious event, and to be in India again. We really appreciate the significance of the 'aradhana'. It is wonderful to be able to celebrate the origins of music and the greatness of Sri Thyagaraja. Even though we are not Indian, I feel that all music comes from the same divine source, which is sometimes manifested through individuals. It's that origin that I feel we are here to honour. We were invited by esteemed veena player Karaikuddi Subramanian from the Bhraddvani institute, Chennai, to come and take part in this year's events, as well as his own heritage festival concert series in Pudukkottai. We have gratefully been given funding support from Culture Ireland to travel to India to perform. You are in many ways pioneering Irish-Indian classical music collaborations. What were the initial challenges, and how do you see the future shaping up for more instances of cross-cultural fusion? The biggest challenge in bridging Irish and Indian music is around the concepts of rhythmic structure and improvisation. Irish traditional music is primarily melodically based. These melodies have very different rhythmic structures to Carnatic or Hindustani music. Likewise, improvisation in Irish music is much more limited than the Indian classical tradition. To find a common space for collaboration requires a lot of searching for the right melodies and creating new improvisation structures. It also requires making a new music which transcends genre and cultural form. How does traditional Irish music come together with Carnatic music? What were the challenges, in musical terms, of bringing together a sarod, and the bodhrán with a veena, tanpura and traditional percussion like the mridangam or the kanjeera? 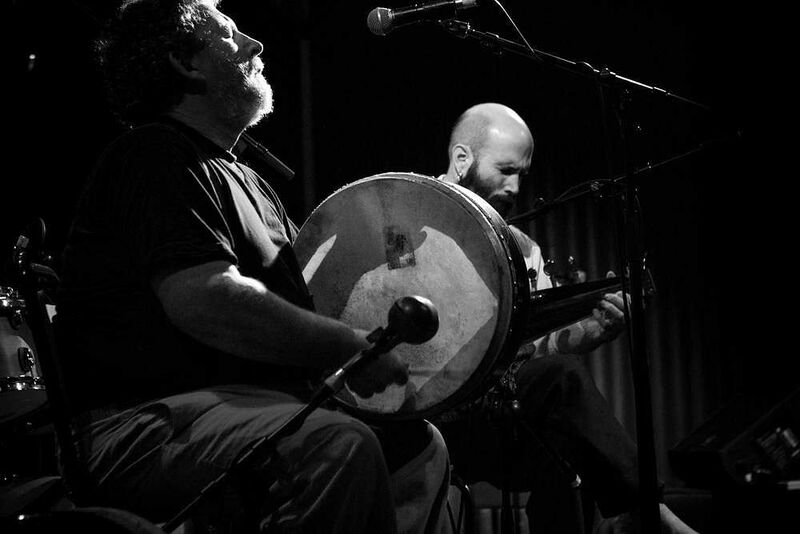 With our duet, I think the sarode and bodhran work well together because of the musicians rather than the instruments. In particular, I think Tommy is a very sensitive musician who listens and responds to what I'm doing regardless of the instrument. That in turn inspires me. I think Tommy could play almost anything and make it sound musical! 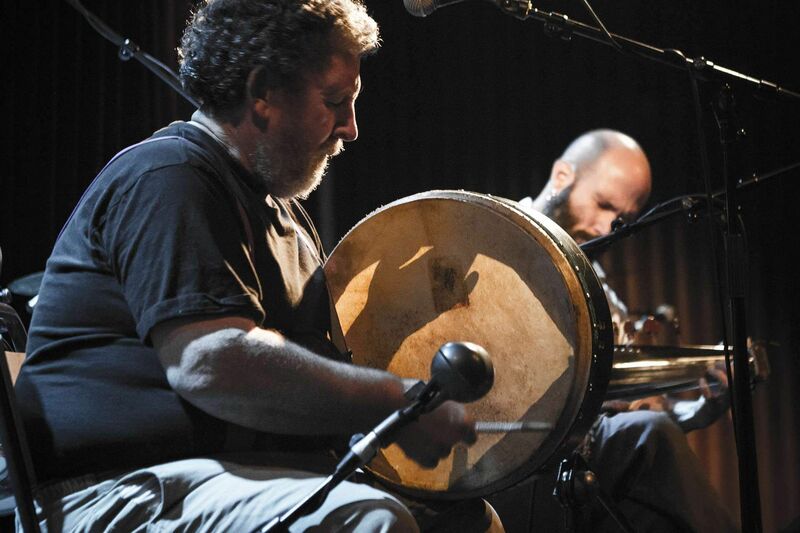 Tell us about the similarities and differences, in particular, between the bodhrán as an instrument in traditional Irish music, and its variations in world music cultures. How differently is the instrument modified? Also tell us a little about the modified sarod. How is the instrument modified, and what aspects were you particular about, for it to work with the bodhran as an accompanying instrument? The sarode I play was modified to play in the keys of D, G and A which are the main tonics in Irish traditional music. I also have simplified the sympathetic tuning system so that I can switch keys. It is also smaller, so I can sit in a chair rather than on the floor... most Irish traditional musicians don't like sitting on the floor! How deep are your Indian spiritual influences? Tell us a little about the name, AnTara, and how you came up with it for the name of your band. Speaking for myself, I have a 15-year-long relationship with Hindustani music and have lived in Kolkata for several winters studying with my teacher. For me, it is impossible to learn Indian classical music without developing an appreciation of its inherent spiritual dimensions. I have my own spiritual practice which honours deities from the Hindu pantheon, and I maintain a simple shrine at home. I'm looking forward to visiting some temples during my visit and honoured to have the chance to offer my music as a salutation. How easy is it to converse with K Subramanian or other veteran Carnatic musicians, in purely musical terms - do you interact more in musical notes than actual words? Are there any musical quirks, perhaps typical of Carnatic music, that you have observed in these years of playing with him? It is a privilege to play with K Subramaniam. His wisdom, warmth and spiritual clarity are an inspiration. We have found the most fruitful way to make music is to connect on a heart level. Sometimes this involves words or some musical notation but primarily we are trying to work in a similar heart space and bring the music from there. Tell us a little about the traditional music festivals back in Ireland. We know about the singing and dancing, but how serious - and beautiful - are the classical music concerts, and festivals? Well, the first thing you have to realise is that there isn't a classical music tradition in Ireland like there is in India. Irish traditional music (as it is commonly called) is primarily a folk music form. However, in the ancient past in Ireland there was a classical court tradition, which combined the harp and poetry. This tradition was practically wiped out during colonial rule from the 1600s onwards. 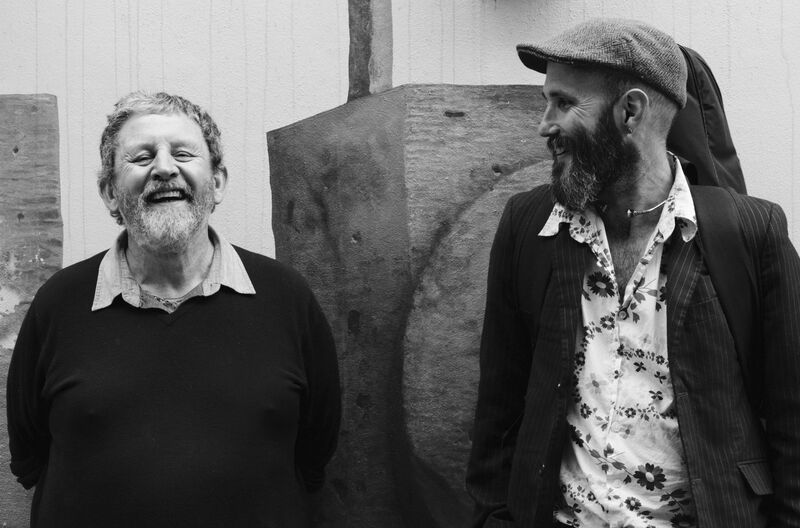 The music you hear in Ireland now is primarily a result of a folk revival in the 1960s. 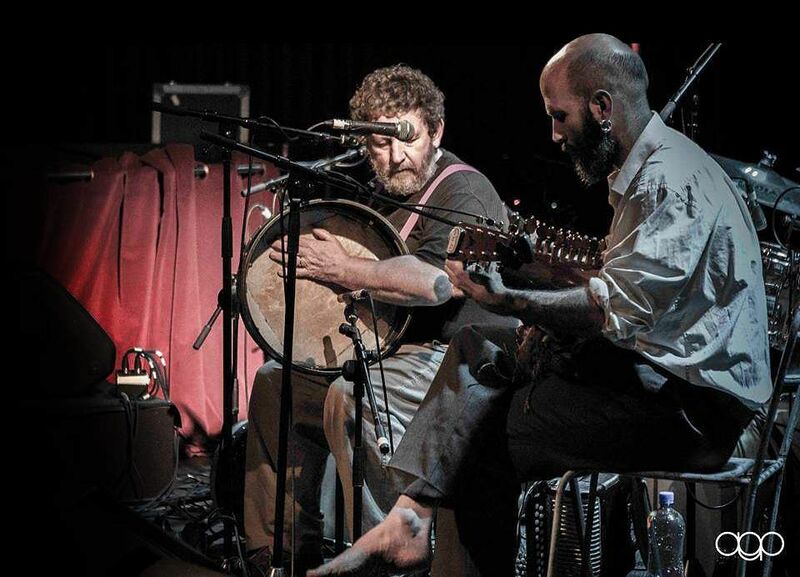 Due to this review, Irish traditional music is stronger than ever before. The festivals which celebrate music in Ireland often feature workshops for students to learn the repertoire and concerts of established musicians. Much of the music is dance oriented but you do find many musicians whose music goes beyond this. In particular, when musicians play solo or in duets you can hear the raw beauty of their artistry. How much further would you like to go on this journey of exploring Carnatic music? 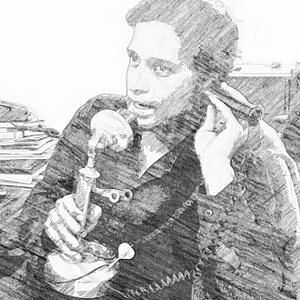 How much more is there left for you to experiment with, and what else would you like to make happen, in terms of your cross-cultural explorations? I'm still an absolute novice when it comes to Carnatic music, and I'm still learning so much. I'm hoping to learn a few compositions from Thyagaraja on this trip to perform during the Aradhana. Looking forward to whatever the future brings... hopefully another visit from KSS to Ireland next year. As a duo, you prefer to play with very minimal accompaniment. How deliberate is that decision? Is there ever a concern of coming across as too sparse an arrangement, without any other instruments involved? In Hindustani music, there is usually only a single melodic line, a drone and tabla: our duet works on the same principle. Likewise, the best Irish traditional music is heard in a solo context. I love that intimate feeling of hearing two musicians interact. That's the pinnacle of performance for me. It's very easy to arrange music with many instruments to make it sound impressive but to express beauty with just a melodic line and a drum is a wonderful creative challenge. Are you well versed with Carnatic music now? Who are the other musicians you would like to listen to? Are you looking forward to explore some Indian folk music as well? Give us a message to popularise classical music among youngsters. How would you get a teenager more inclined to hop-hop and EDM make the switch to begin listening to classical music? Does it take a deeply academic understanding to appreciate classical music? I love pretty much all kinds of music as long as it comes from the heart and honours that divine source which I mentioned earlier. That can happen in Indian classical music, folk music, Irish traditional music, EDM, hip-hop or rock 'n' roll. It doesn't matter what genre or what instrument you use... you can always find a way to touch the feet of the divine! AnTara will perform at Thiru Gokarnam temple on January 5, 5 pm-8 pm. The Thyagaraja Aradhana festival is on until January 6.